Aligning with the business strategies for globalisations, the organisations are intending to facilitate the concept of the global team within the workforce. Global team management leads the organisation closure to the objective for globalising the entire business context (Goetsch & Davis, 2014). This is easily comprehensible that the management of the global team will never come without any challenges for the organisational structure and human resource management. This research is going to be made on the obvious challenges for the organisations in managing the global team. The research proposal aims to indicate the causes for the challenges and to find out the possible management measurements to mitigate the challenges. With this aim, the study is going to make the objectives of the upcoming research along with the identification of the underlying importance of this project. The research questions and the hypothesis will also be developed to achieve the aim and the objectives of the project. For the comprehensive understanding of the background of this research, there will be a summarised view on the literature review, which is based on the evaluative study of the existing scholarly articles. Most importantly, the research proposal will be framed by proposing the research design and approach along with the proposed data analysis, sample size, and sampling processes to fulfil the objectives. The importance or the future scope of this project is on the research topic itself. Beside this, increasing challenges of global business industry have made it essential for the organisations to be aware of the challenges in both the team management and in the human resource management. With this importance, there is another underlying future scope of this project and this is the diversified workplace management. It is obvious that, along with the context of the global team, the context of workplace diversity must appear (Browne, Dreitlein, Manzoni & Mere, 2016). Global team is not a context, which is limited to a particular locality or workplace of singular cultural background. Making of a global team means to bring multiculturalism within the organizational culture (Lockwood, 2015). This is the biggest challenge for the leadership of the organisations to lead the global team towards particular objectives. This research also intends to focus on this area of the challenge with an evaluative notion on the existing concepts. Therefore, this project does not miss out the most comprehensive area for challenges and that is the area of the human resource management to manage the global team. Most importantly, this project facilitates more scopes by researching on the real-time data from the organisations, who are managing the global team. This will be beneficial for understanding the actual areas of the challenges from the perspectives of both the management and the employees, which can be applied to understand the appropriate strategies to mitigate the challenges. In the study of business management, the team management and global team management are seen from the different perspectives (Jarzabkowski, Bednarek & Cabantous, 2014). With these perspectives, there comes the challenging aspect of the leadership management and these challenges are seen mainly as the barriers for the leadership performances. These barriers have the differences between the local team and the global team. The researches are showing that, while globalising the team management, the organisations have to bring the diversification within the workforce for the sake of competitive advantages. According to Browne, Dreitlein, Manzoni & Mere (2016) along with leading the team members, it is the responsibility of the leaders to give equal importance to each section of the employees in a global team. These leadership barriers come up with the challenges in maintaining multiculturalism in the global team. Takagi & Hong (2016) opined that, along with the multiculturalism, the challenges can be raised because of the virtual team management strategy of the global organisations. It is the strategy of the global organisations to reduce the time of the management while managing the global workforce. In the most of the times, the global team members are in the different parts of the world. Because of that, the employees cannot realize the unity in a multicultural team. Besides this, the human resource management cannot get the chance for being involved with the team members. This causes the non-achievement of the organisational objectives. It can be understood from the existing researches that the extreme technological advancements are causing major challenges for the organisations in managing the global team. According to Jarzabkowski, Bednarek & Cabantous (2014) the organisations are using technologies in managing the global team for reducing the time and increasing the profitability. The leaders are not getting advantages for understanding the psychological aspects of managing the global team in a diversified workforce. With all these challenges, there can be the overcoming strategies by undertaking the real-time data from the management and the employees of the global organisations. Which are the challenges that the multinational organisations can face while managing the global team in a global environment? What can be the strategies to identify the reasons of the challenges for the management in managing the global team? What is the importance of the functions of the human resource management in managing the global team? What are the strategies that the international organisations can undertake or implement to identify and mitigate the challenges for global team management? What consequences may the organisations face in the absence of the global team management while globalising the business? H0: Challenges for the management of the global team can influence the organisational strategy for globalisation. H1: Management challenges for the global team do not have any influence on the international business strategy of the organisations. Research methodology sets the logical way for the completion of the study to answer the research questions (Da Veiga, 2016). 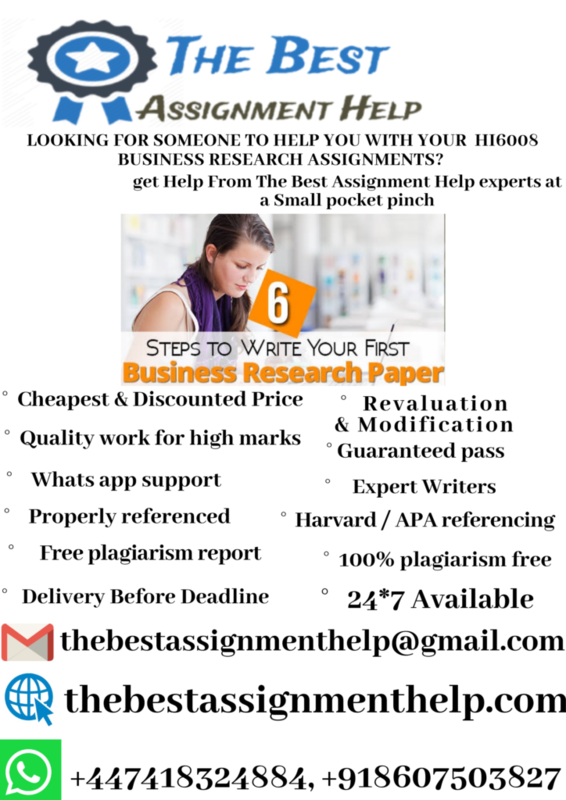 In this section, the researcher will propose the steps of the research methodology, through which the research will be done. Through the methodology, there will be the mention of the proposed research design and the research philosophy. The research approach will also be there based on which the research will proceed. The researcher in this section shows the possible steps for the qualitative and the quantitative research along with the sampling size and sampling techniques. Descriptive research design will be used for this research as this shows the way for the logical observations to answer the research question (Da Veiga, 2016). The research context of the global team management is subject to be evaluated and analysed with a logical perspective. The exploratory research design is also there but this has the tendency to not to find any definite findings for the research questions. On the contrary, descriptive research design is to show the impacts of two variables on each other, which is not so much relevant to the research questions. The deductive approach will be used to deduct the existing theories and the studies on the organisational management. To answer the research questions, it is necessary to review the previous business studies and the leadership theories, which can be done easily by the deductive research approach (Lewis, 2015). On the other hand, the inductive research approach is to induct new theories or the literary concepts at the end of the research but it is not suitable for researching the global team management strategy. Positivism philosophy will be used for the findings from the research. This positivism philosophy shows the way for the observational and logical way for the data finding through interpretation (Creswell, 2013). This interpretation is based on the observation collected from the real-time data. Both the primary and secondary data collection method will be used. Primary data collection method will consist of the quantitative and qualitative data analysis (Sekaran & Bougie, 2016). For the secondary data collection method, the researcher will use the existing scholarly articles and the research papers for making the evaluative study. On the other hand, the quantitative data analysis will be based on the survey of the employees of the selected organisations. The qualitative data analysis will also be done through interviewing the managers of those organisations. For the qualitative research, the face-to-face interview will be taken from the managers of the chosen organisations. Sampling Method: Both probability and purposive sampling method will be used as some particular organisations will be chosen. Sampling size: Five organisations will be chosen, who are using global management strategy to globalize their team management. From each organisation one manager, totally five managers will be selected for the interview. Research Instruments: For the survey, the online questionnaire will be used as the research instruments. Interview and Questionnaire designing: Open-ended questions will be framed for the survey. No such questions will be there which can directly hurt the cultural sentiments of the participants. The interview questionnaire will be framed in such a way so that the information about the management strategy can be easily understood. Sampling techniques: Simple random probability sampling technique will be used for the survey. It is because of the online survey where the questionnaire will be distributed among each employee but the respondents will be collected randomly. Sample size: 150 employees will be selected as the respondents of the survey. From the total respondents, 70 employees will be chosen as the actual participants. Data analysis: For the quantitative data analysis, data analytical tools will be applied. Among these analytical tools, there will be the usage of the MS Excel to find out the percentages and the averages. SPSS software will also be used to calculate the standard deviation and the correlation between the variables. All data will be used without bringing changes in it. The participants will not be forced to participate or to respond to the survey. No questions about the confidential organizational information will be asked. Only the recent articles will be used for maintaining the data validity. Any offensive or contradictory data from the survey or the interview will be omitted. The researcher will maintain the security of the data. Under Data Protection Act 1998, the data will be secured. No data will be revealed excluding the academic or evaluation purpose. The researcher will use authentic data and no copy-pasted data will be used (Mitzenmacher & Upfal, 2017). As an academician, the major limitation of the research, which will be faced is the limitations of the monetary resources and the time. Firstly, the budget problem will be the barrier for the researcher to extend the areas of the study. This will cause the limitation of the real-time data. The researcher will have to depend only on the scholarly articles, which may be backdated for the research context. Limitation of the time can also be another restriction for the researcher. Global team management is the concept, which is to be studied over an extended area and time. Most importantly, the researcher will have to rely on the first-hand data, which may not be authenticated. For the primary data collection, it cannot be guaranteed that the researcher will get the proper participation of the managers and the employees of the selected organizations. The managers may also be not interested to give actual information about their management strategy. On the completion of the research proposal, it can be stated that the aim and the objective of the research have been implemented making alignment with the research questions. The entire research study is clearly comprehensible through the selection of the research design and the methodology. The scope of the research has been established successfully by describing the background of the context. Most importantly, the development of the hypothesis will make the reader certain about the findings from this research context. Beside this, summarised view on the literature review is the best way for understanding the existing concept of the global team management. There are multiple dimensions of the global team management and its challenges. From the designing of the research methodologies, it can be understood that these perspectives will be evaluated from the expected dimensions. It can be concluded that the upcoming research is going to find the possible overcoming methods to resolve the team management challenges shedding the light on every management perspective. Browne, W., Dreitlein, S., Manzoni, J., & Mere, A. (2016). Two Key Success Factors for Global Project Team Leadership: Communications and Human Resource Management. Journal of Information Technology and Economic Development, 7(2), 40. Da Veiga, A. (2016, July). A Cybersecurity culture research philosophy and approach to develop a valid and reliable measuring instrument. In SAI Computing Conference (SAI), 2016(pp. 1006-1015). IEEE. Goetsch, D. L., & Davis, S. B. (2014). Quality management for organizational excellence. Upper Saddle River, NJ: pearson. Jarzabkowski, P., Bednarek, R., & Cabantous, L. (2014). Conducting global team-based ethnography: Methodological challenges and reflections. In Academy of Management Proceedings (Vol. 2014, No. 1, p. 16809). Academy of Management. Lewis, S. (2015). Qualitative inquiry and research design: Choosing among five approaches. Health promotion practice, 16(4), 473-475. Lockwood, J. (2015). Virtual team management: what is causing communication breakdown?. Language and Intercultural Communication, 15(1), 125-140. Mitzenmacher, M., & Upfal, E. (2017). Probability and Computing: Randomization and Probabilistic Techniques in Algorithms and Data Analysis. Cambridge university press. Takagi, J., & Hong, H. J. (2016). The Global Team Leader Dilemma: Diversity and Inclusion. Uncertainty, Diversity and The Common Good: Changing Norms and New Leadership Paradigms, 111.